First, download Instagram Type Gallery Premium plugin. 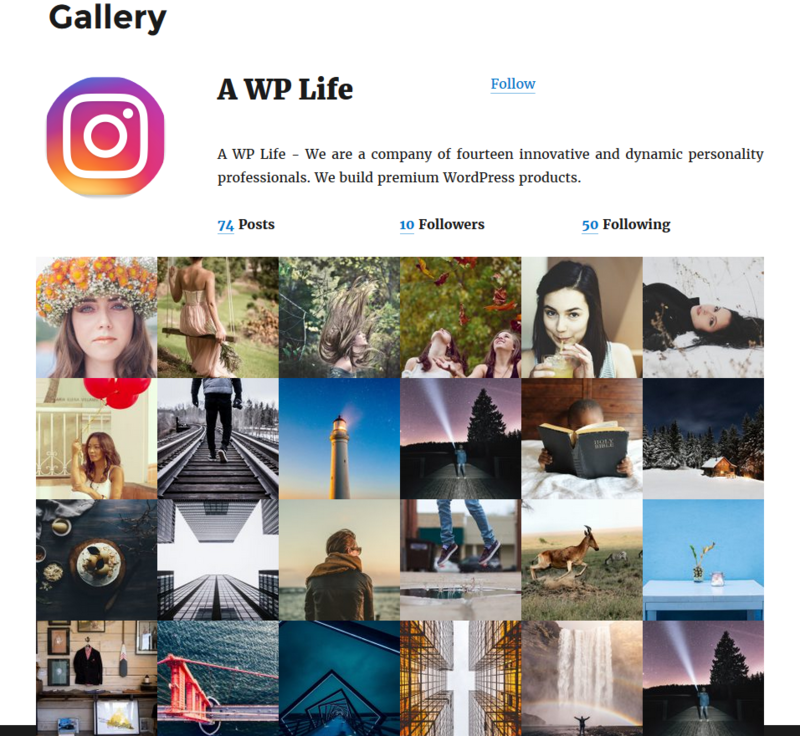 For create instagram type gallery click on Instagram Type Gallery premium plugin in the menu bar. 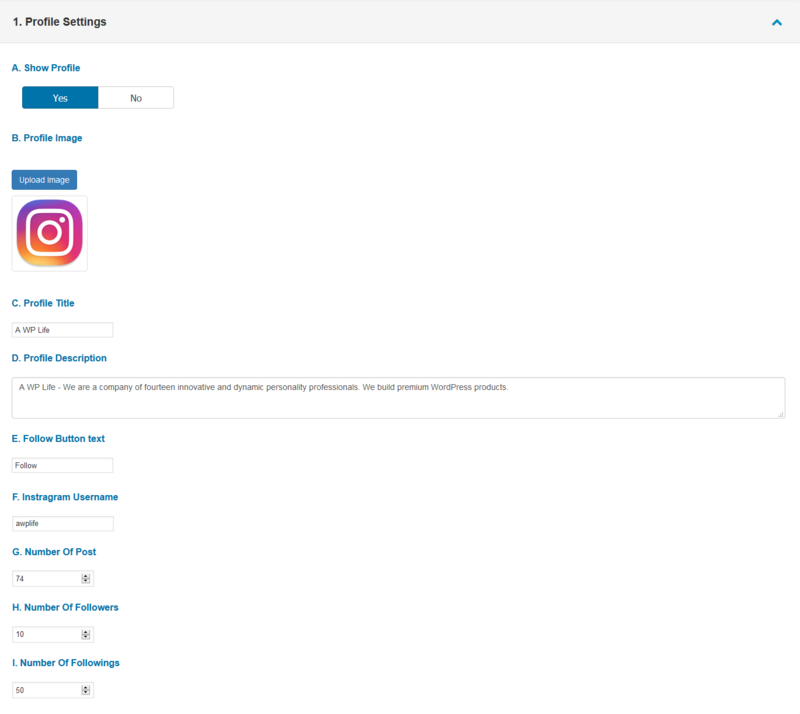 Then type your Instagram type gallery title in the text box. 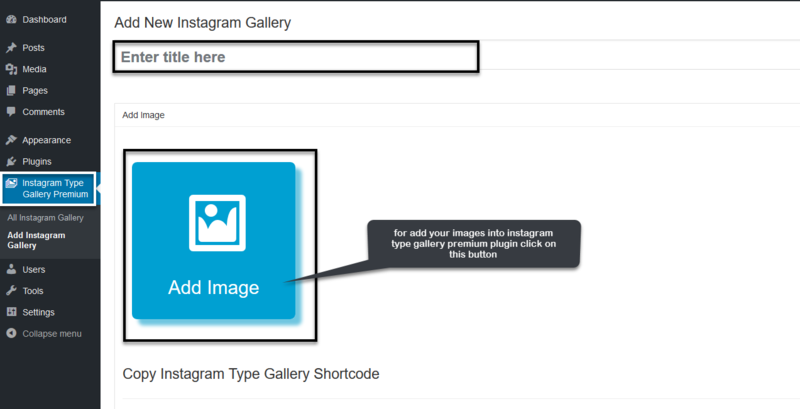 For add your images in Instagram type Gallery premium plugin click on Add Image button. and then click on Select button. A. There are two buttons on it, and to show a profile and hide profile. B. We have an upload button on the new profile pic you can. C. In this box we can write the title of your profile. D. In this box we can write the Description of your profile. E. In this box we can write the follow button text of your profile. F. In this box we can write the Username of your profile. G. In this box we can give the Number Of Post of your profile. H. In this box we can give the Number Of Followers of your profile. I. In this box we can give the Number Of Followings of your profile. 2(2). 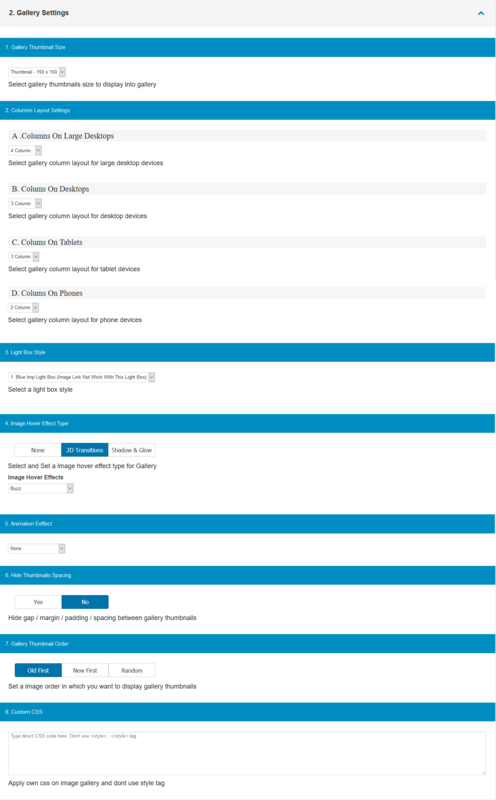 Select gallery column layout for large desktop devices according to column size. 2(3). Select gallery and Set an image Light Box Style on gallery. 2(4). Select None, 2D Transitions Effects, Shadow and Glow Transitions Effects and Set an image hover effect in gallery. 2(5). Set an image Animation effect on gallery. 2(6). You Can Select Hide gap / margin / padding / spacing between gallery thumbnails in gallery. 2(7). Set an order in which your want to display gallery thumbnails. 2(8). Apply own CSS on instagram type gallery and don’t use style tag. 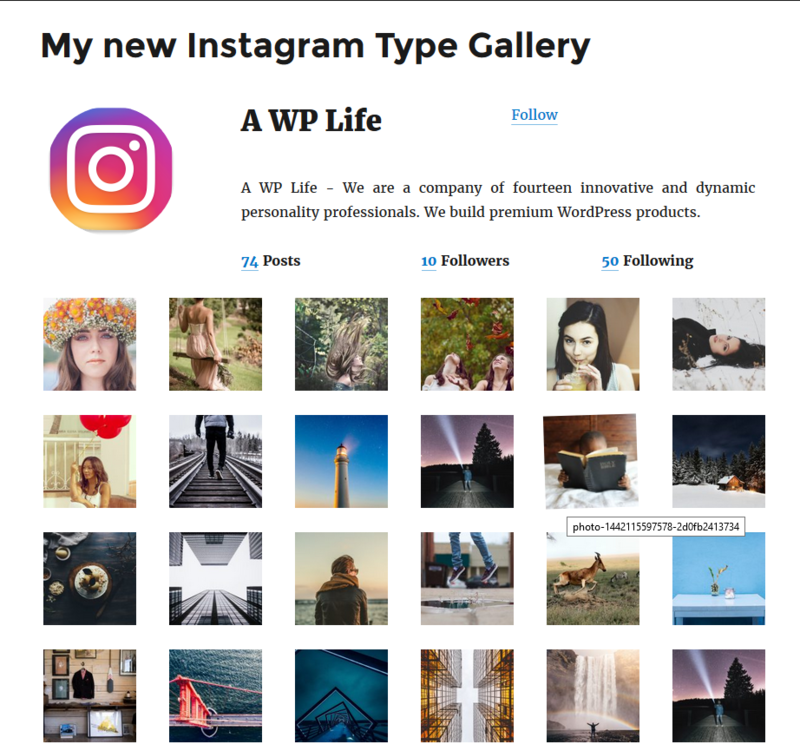 Show Instagram Type Gallery on post And Page. Copy & Embed shortcode into any Page/ Post to display your Instagram type gallery on site. 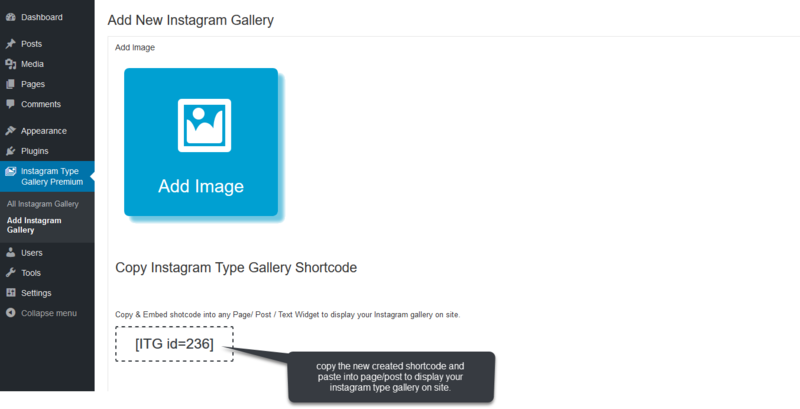 Copy & Embed shortcode into any Page/ Post / Text Widget to display your Instagram type gallery on site.